Modern technology, with a greater bandwidth and better mobile data networks, has encouraged the development of messaging and video chat applications. Skype is probably the most paradigmatic example of this kind of technology but there are now other instant messaging and chat apps out there of the likes of WhatsApp or LINE. 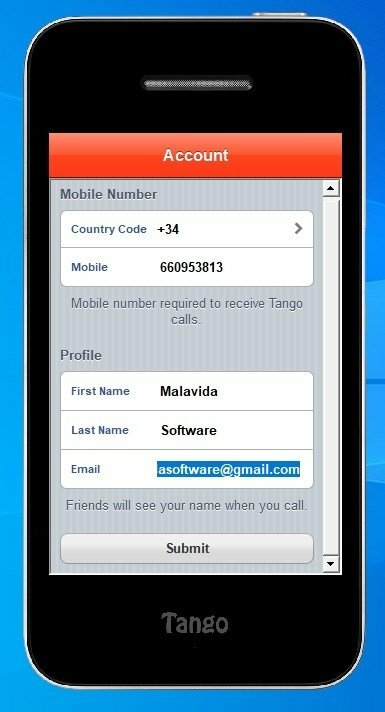 And among all these applications, we have to point out Tango that, with the same name as the Argentinian music par excellence and the character played by Sylvester Stallone together with Kurt Russell (who played Cash), could definitely be a great alternative to Skype and other video conference systems... at least on Windows, platform for which it's no longer available. Nevertheless, it still can be on Android and iPhone, platforms for which it can still be downloaded and used without any trouble. The desktop client of Tango Voice, Video, and Text that's such a hit on Android and iPhone. Video calls with high-quality video and image. Chat from which you can send text messages, as well as stickers, multimedia files such as photos and video or map locations. Two skins available to customize the interface. Invite contacts by means of their email address. Compatible with the rest of devices that also use this application. The developers have decided to discontinue this desktop version for Windows PC. We really don't know the reason, especially when the rest of its competitors are releasing their own desktop clients. But that doesn't mean that you can't use if from your PC if you're really interested in doing so as an Android or iPhone user. Because you've still got the option to download its APK and run it using an Android emulator of the likes of BlueStacks or Nox App Player. It's not the most comfortable solution but it will get you out of a tight spot. In any case, if you want to get hold of a decent VoIP program for Windows, you can use the above-mentioned Skype or even the video call functions incorporated by Facebook Messenger... 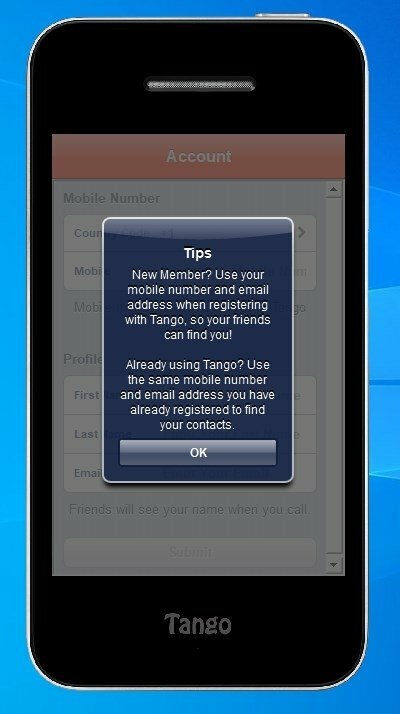 But don't forget that Tango is still a decent app for smartphones and tablets.